Weather: Our run of dry fall weather continues, with no end in sight. The National Weather Service predicts sunny days and clear nights through Columbus Day and beyond. Expect daytime highs in the mid 60s and chilly nights in the low 40s. Sports: Spartans teams are away this weekend. Football plays Seattle Prep at 7 p.m. tonight at West Seattle Stadium, and Sun sportswriters like Bainbridge across the board. The full Spartans schedule is online. If our forecast holds, the sun will be shining for this year’s Bainbridge Solar Tour. The tour begins with an open house from 1-4 p.m. Friday at City Hall Council Chambers. Visitors can learn more about the City Hall solar installation and check out a newly installed information kiosk. The tour continues Saturday at Grow Community where three model homes will be on display from 10 a.m. to 4 p.m.
A poultry pageant will add pomp to this Saturday’s Bainbridge Farmers Market. The chicken costume competition takes place from 10 a.m. to 1 p.m. It’s free to enter if you have fowl handy. Look for photos and a story in the Sunday Sun. AlderDash racers are raising big money for IslandWood. Day-of registrations will be welcomed for the fun run/walk/stroll, which begins at 9:30 a.m. Sunday at the south island education center. Find details here. 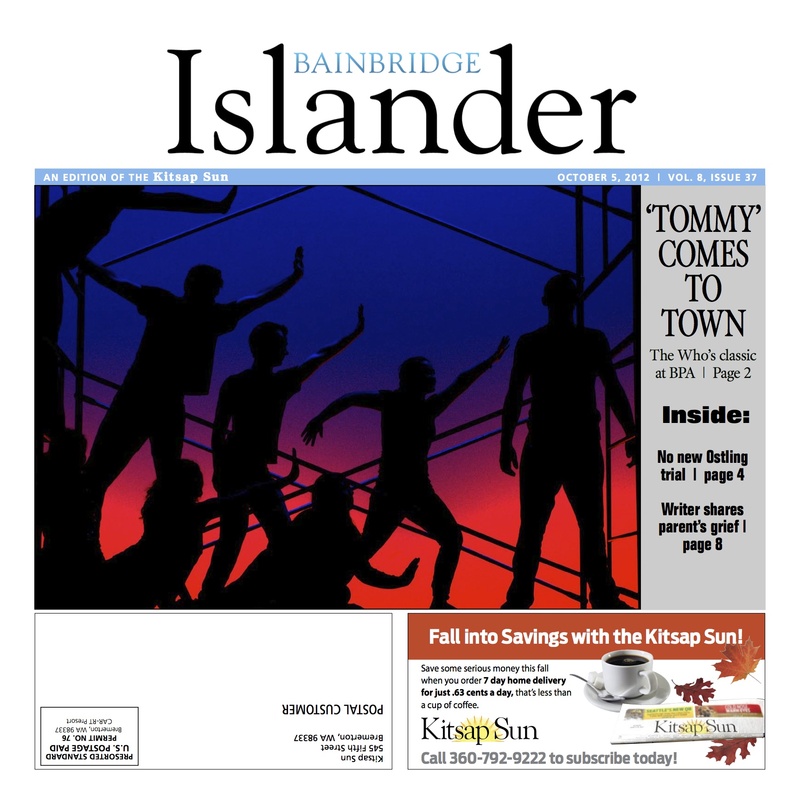 Pick up this week’s Islander for more event listings and tell us about your own events in the comment section below . Inside the Islander: Bainbridge Performing Arts lends its wizardry to The Who’s “Tommy,” and we welcome a new editor. A development proposed for New Brooklyn Road would provide workshop space for business owners and tinkerers alike. Councilwoman Anne Blair was fined $200 by the Public Disclosure Commission for late campaign filings a year ago. The school district is studying grade configurations as enrollment continues to fall. A Bainbridge man is building a house fit for a hobbit on High School Road. Volunteer gardeners stock Helpline house with much-needed veggies.